Quiet and serene yet close to the action. It's hard to realize how much space is in this condo. MBR w/large closets and bath, upper and lower level bedrooms with private baths. Lovely outdoor spaces include a patio ,2 decks and a sun filled atrium PLUS access to private side yard. Vaulted ceilings with built-ins in LR, DR,Library,finished lower level, cute kitchen, 2 car garage, hardwood floors. Cranbrook Manor Condo is a subdivision within the city of Bloomfield Hills, Michigan. There are currently 0 Homes for Sale within Cranbrook Manor Condo, with asking prices ranging from $0 to $0. The average list price per square foot of the available inventory in Cranbrook Manor Condo is $0, which is the Bloomfield Hills average of $328. The Average Sales price of all sold real estate in this subdivision for the past year is $272,250. Recent comparable homes have been selling for 95.50% of their asking price. Waterfront homes represent of the available Cranbrook Manor Condo inventory. The population of Bloomfield Hills, according to the 2010 Census, is 3,869. The total number of households in the zip code of Cranbrook Manor Condo is 6,481, with an average household size for of 2.42 people. The total number of renter households within the zip code of 48304 is 652, which means that 89.94% of households in this zipcode are owner occupant households. 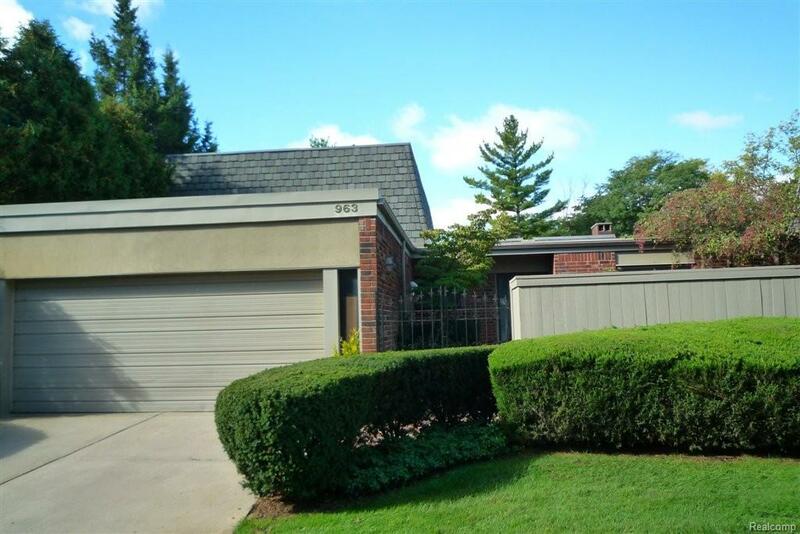 963 Stratford Lane , Bloomfield Hills MI 48304 is a Condo, with 3 bedrooms which is recently sold, it has 1,900 sqft, 0 sized lot, and 2 Car parking. A comparable Other, has bedrooms and 0 baths, it was built in and is located at and for sale by its owner at $ 0. This home is located in the city of , in zip code , this County Other, it is in the Subdivision, and Kingsway Condo are nearby neighborhoods.